There’s a lot of new music coming to Virginia in February 2019. From major country acts to the biggest names in rock and pop, celebrate the season with your favorite artists and discover new ones all over the Commonwealth. The National in Richmond will be bringing a number of big name artists throughout the month. The venue will be hosting Walk the Moon (Feb. 5), Coheed and Cambria (Feb. 6), Yonder Mountain String Band (Feb. 7), Drive-By Truckers and Lucinda Williams (Feb. 9), Joe Jackson (Feb. 10), St. Paul and the Broken Bones (Feb. 13), Car Set Headrest (Feb. 18), Metric (Feb. 21), Brothers Osborne (Feb. 22), and others. The Altria Theater will have Casting Crowns on Feb. 21 and The Piano Guys on Feb. 22. The Beacon Theatre in Hopewell will host The Fabulous Thunderbirds on Feb. 8, 5th Dimension on Feb. 14, The Earls of Leicester on Feb. 28, and more. In Charlottesville, Luke Combs will be performing at the John Paul Jones Arena on Feb. 23. The Jefferson Theater will hosts artists like Mandolin Orange (Feb. 4), Dawes (Feb. 8), The Steel Wheels (Feb. 16), Houndmouth (Feb. 22), Anderson East (Feb. 26) and more. 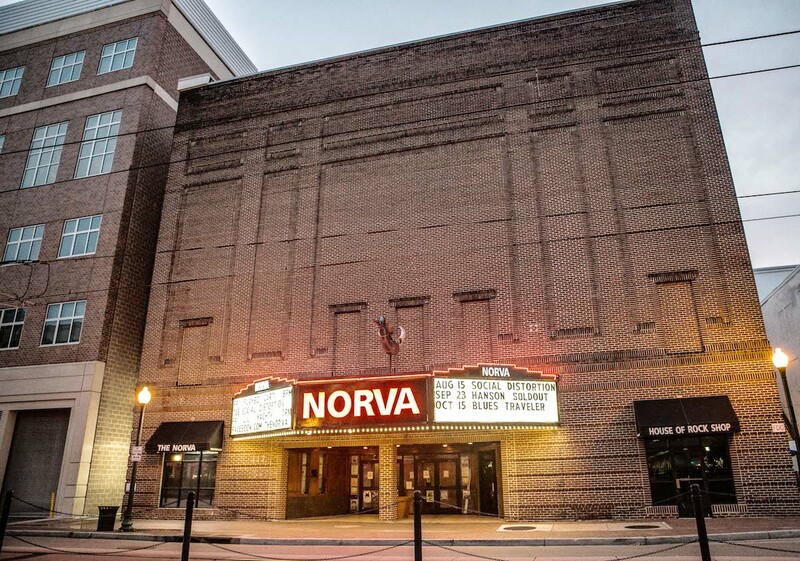 The NorVa in Norfolk will be bringing in Young the Giant (Feb. 2), Coheed and Cambria (Feb. 5), Walk the Moon (Feb. 6), Sevendust (Feb. 9), Andrew McMahon in the Wilderness (Feb. 10), Vince Staples (Feb. 18), and many others. The Harvester Performance Center in Rocky Mount will host many acts including Keller Williams on Feb. 21, Aaron Lewis on Feb. 23 and 24, and more. The Tally Ho Theatre in Leesburg will be hosting Marsha Ambrosius on Feb. 16 and Keller Williams on Feb. 23 among other shows. At Wolf Trap National Park for Performing Arts in Vienna, shows will include The Dustbowl Revival & Hot Club of Cowtown (Feb. 2), Cherish the Ladies (Feb. 19-20), and more. Alexandria music hall The Birchmere will host Kasey Chambers (Feb. 5), Drew & Ellie Holcomb (Feb. 6), Musiq Soulchild (Feb. 7), Arlo Guthrie (Feb. 8-9), Three Dog Night (Feb. 17), Matt Nathanson (Feb. 19), 10,000 Maniacs (Feb. 22), WAR (Feb. 27-28), and many more. For more big names coming to Virginia this month, go to virginia.org/music. At a Virginia concert this month? Share your photos with @VisitVirginia on Twitter and Instagram with the hashtags #vamusic and #vaisformusiclovers. The post Big Concerts Coming to Virginia in February 2019 appeared first on Virginia’s Travel Blog.